Food carts have been a wildly popular addition to Vancouver’s casual dining options, but some restaurant owners are calling for a moratorium on them, claiming that street vendors are taking away their customers. Several restaurants have complained to city hall that the mobile eateries parked outside their businesses are steering away customers. Ian Tostenson from the B.C. Restaurant and Food Services Association said food carts get to capitalize on serving food in prime, busy locations, without paying the same taxes as local businesses. The city confirmed to CTV News they are reviewing the complaints. “A&W, Burger King, some pizza places concerned about a hot dog stand on Granville [Street], which has actually been there for over 15 years. But nonetheless it raises the issue of whether or not we've got too many restaurants in close proximity,” said Heather Deal, Vancouver city councillor. The city said while they are aware of the issue, they are not going to halt issuing permits. Since the city began allowing mobile eateries in 2010, 100 food carts in Vancouver have been issued permits, and the city plans to add another 30 in the next two years. Have your say: Do you think there should be restrictions on where food carts can park? 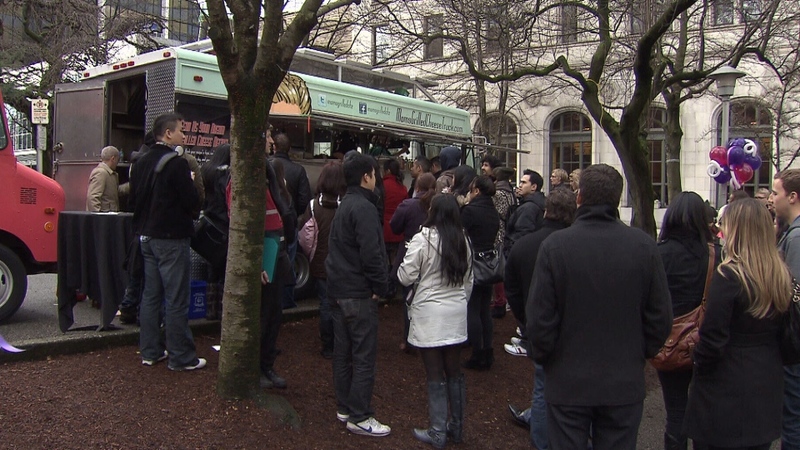 Could more food carts hurt Vancouver restaurants?